Posted on 08/04/2017 at 4:09 pm. Having grown up with MTV from it’s inception, I find that if a band really wants me to buy their album, the spectacle of a good music video is sure to catch my attention. About 2 weeks ago while watching music videos on YouTube, I stumbled across the Video “Lazarus” from their 2015 self titled debut album “Tau Cross”. Impressed by the music and the Cinematography I quickly followed the links to their Relapse Record’s Bandcamp. It was there I discovered they had a new album called “Pillars of Fire” due out in a few days. In the mean time I purchased their first album and made a note in my head to return and buy “Pillars of Fire” especially after being blown away by the debut release. 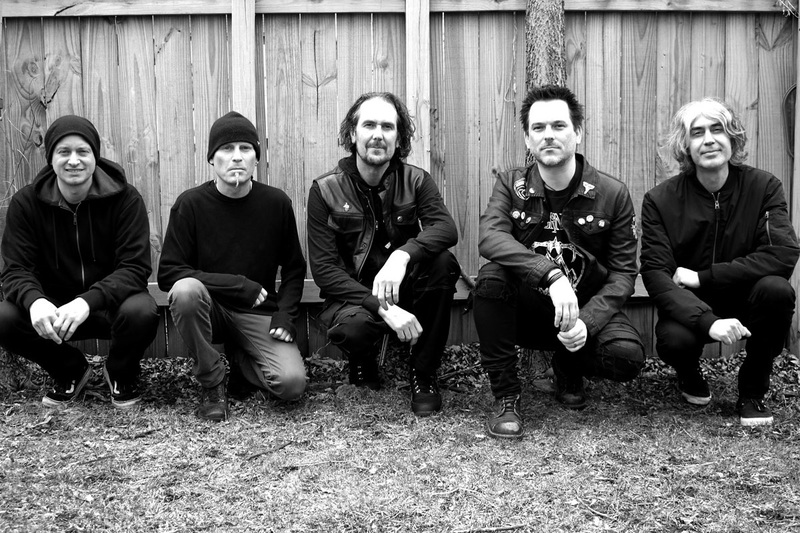 I could probably write volumes about the members of Tau Cross but will refrain as it would turn into a novel. Vocalist & Bassist “Rob (The Baron) Miller (Amebix)”, drummer “Michel-Away- Langevin (Voivod)”, “Jon Misery (Misery)”, “Andy Lefton (War//Plague)” on guitars, and “Tom Radio (Frustration) ” also on bass bring a great deal of talent and creative energy from the punk and various metal sub genres they offer up. Which is why I suspect they refuse to box themselves into a specific genre. But fear not as the unspecified genres are for my punk and metalhead friends. Tau Cross brings a musical Smörgåsbord. 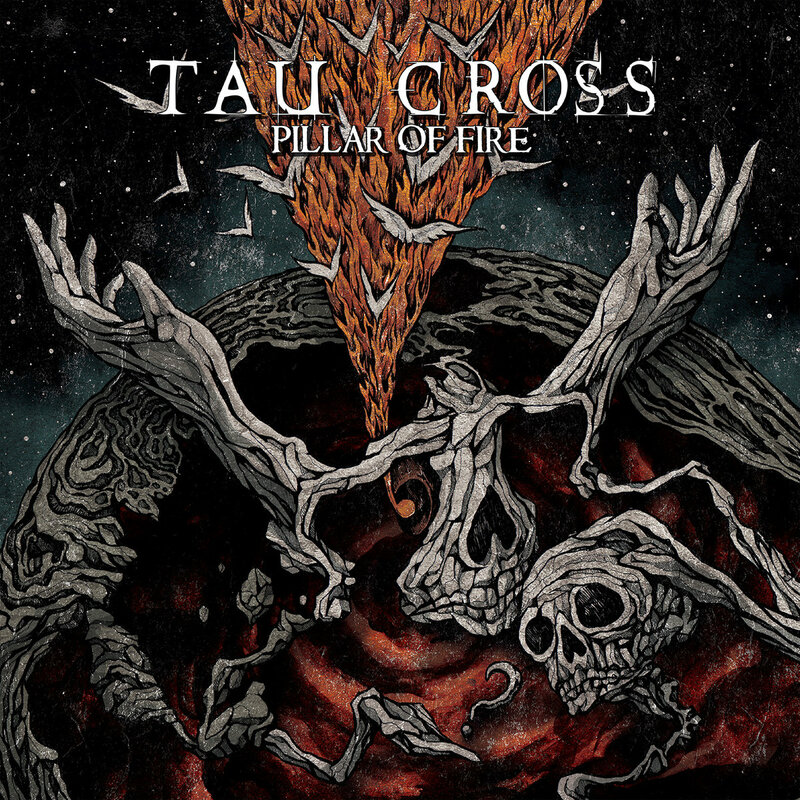 “Pillar Of Fire” is an album that shows Tau Cross has a second act. While listening I found myself engrossed by the songs. While Tau Cross do not sound like Black Sabbath, Iron Maiden or Dio, the lyrics, vocals and instrumentation created the same musical spectacle that drew me to them as a teen. Some may try to compare Vocalist // Bassist Rob (The Baron) Miller for his raspy voice to Lemmy Kilminster of Motörhead. While he can sing with a harsh rasp, I discovered Rob has a vocal range that at times had me asking who’s the other guy singing. These are a few of my favorites from “Pillar of Fire” – ‘Raising Golem’ a song the Golem from Jewish folklore, ‘Bread And Circuses’ which speaks of the savagery Rome descended into. Then comes the tale of the horror of being lost at sea done like a good old fashioned sea shanty ‘On The Water.’ I could go on but I am including a link to the album on Bandcamp so you can listen and buy for yourself and “The Short Stories” the band masterfully forged through the lyrics the band kindly offers up (also on their BC Page). The end result is nothing short of Amazing. This should be in your music library yesterday!! Must Buy! !